Planning a birthday party or a bridal shower in the Milwaukee area? 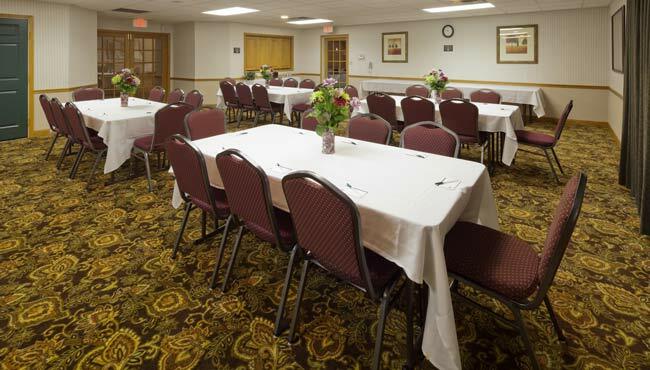 You can host up to 50 guests in the flexible event space at the Country Inn & Suites, Germantown. Schedule a business meeting to take advantage of catering and free high-speed Internet access. Need more space? The Florian Park Conference and Event Center is located just next door and partners with our hotel to make your event flawless. To plan your event or to make group reservations, contact our hotel’s professional staff.